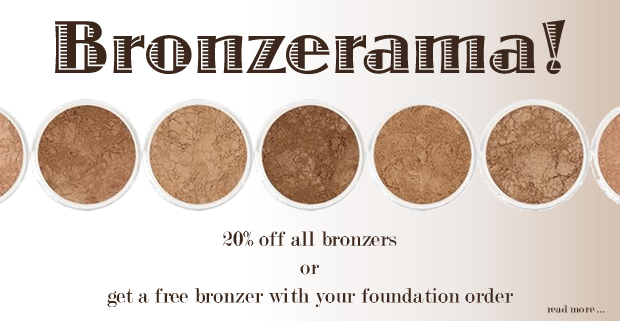 20% off all bronzers or get a large 2 gram packet of your favorite bronzer shade with any full-size or refill-kit size foundation order! For a limited time - March 18 - April 5, 2015! made with the finest minerals and pigments - free of irritants and toxins that may be harmful to your skin.